One of the top priorities for a healthcare organization is engaging the best talent. Recruiting healthcare talent has never been more competitive than it is in today’s economic climate. While healthcare recruiters are trying hard to hire the right candidates, the right candidates often have several employment offers coming their way. This is why it’s crucial to put your best foot forward during the recruiting process. Here are four common healthcare recruiting mistakes, and how to avoid making these errors. We all know that what counts most is what’s on the inside, yet it’s not uncommon for people to look on the outside for things like happiness. Healthcare recruiting is the same way. Most healthcare professionals have a high degree of training and knowledge and can receive multiple job offers. Because of this, they are selective when it comes to selecting an employer. A common mistake that recruiters tend to make is looking at an external group of talented candidates when it’s time to fill a role. Why? Because there are internal employees with a comparable degree of training and knowledge who are likely capable of filling your open position. Along with already fitting in culturally, internal employees who are promoted can experience an increase in happiness which can lead to greater company loyalty. To ensure a well-rounded group of candidates, look carefully at what you have internally before searching outside for that hard-to-fill position. There are a variety of online tools which today’s job candidates can use to find a salary estimate for their occupation and geography. They can even find out what your competitors are paying people with the same job title. Because compensation is so transparent today, the healthcare organizations offering the most competitive comp packages will usually attract the top candidates. Don’t give up if your company is unable to match a competitor’s salary offer. Emphasize the entire compensation package, which might include benefits, bonuses and the intangibles of a great culture. The term “hot lead” is used in sales to describe a highly interested and highly qualified prospect who is likely to convert into a customer. There is a direct connection between how long it takes to respond to the lead and how “hot” the lead remains. Taking too long responding to the lead will allow it to cool off. This term can also be applied to healthcare recruiting. A qualified candidate is “hottest” the moment he or she applies. Allowing the candidate to cool off and explore other employment opportunities while your company puts the candidate through a slow, difficult screening process is an unwise yet common mistake. The solution is transparency. Allow candidates to see where they stand in the application process by using a solid screening process which provides applicants the ability to check their status, view open activities, sign and upload documents electronically, and complete any necessary tests. Although each floor in a hospital provides patients with a different experience – for example, Telemetry is not the same as Maternity – the candidate’s onboarding experience should remain the same across each department. 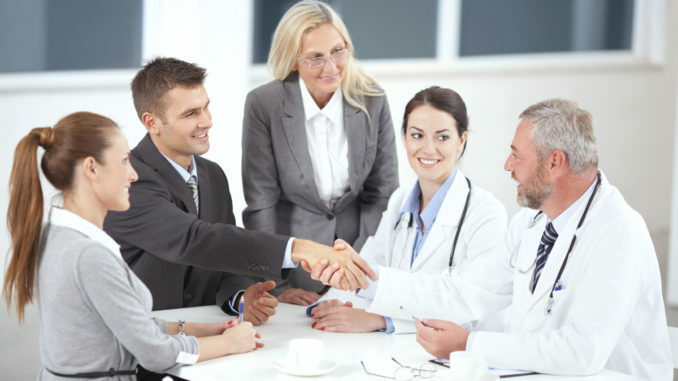 Each department in healthcare recruiting usually implements their own hiring procedures and onboarding process. This can present a challenge for a healthcare recruiter, because the onboarding process is what helps spread your employment brand. A consistent onboarding process allows your employment brand to remain consistent. But an inconsistent onboarding process differs will change what is being said to friends and colleagues about your employment opportunities. Confirming that each procedure supports your employment policies, procedures and expectations will help avoid an inconsistent onboarding process. Centralizing this experience can help with this important last step to the hiring process. Your organization’s recruitment efforts will surpass those of your competition once you become aware of these common healthcare recruiting mistakes, allowing you to better access, attract and retain top candidates.